Think Bigger Think Better is a 100% user-funded podcast that brings together the most inspirational and important thinkers of our time, such as Steven Pinker, having the conversations that matter most, on topics such as fake news, populism, climate change, and blockchain. Your generous support through Patreon helps fund the production of these podcasts and entitles you to monthly Live Ask-Me-Anything dialogs with NewYork Times best-selling authors. Get the latest provocations in science philosphy and business from Paul. Listen to our podcast on behavioral science and the future of business! On the podcast this week, we’re continuing to explore how behavioral science is reshaping business strategy and consumer behavior alike. On the last episode, I talked to Kelly Monahan about why this approach has blown up in the business world. To provide another fascinating, innovative lens to this conversation, I’m joined by consumer psychologist and business strategist Michael Barbera. But first, my upcoming book IMPACT Using Science to Change Behaviors, Hearts, and Minds is available for Kindle pre-order on Amazon. (The paperback is not available for pre-order, sadly.) I’ve priced it really aggressively at $9.99. Here are some of the questions it tackles. • Are the tools and methods used by change leaders that were developed in the 20th century up to the pace of digital age change? • What are the particular change challenges of digital transformation and the future of work initiatives? • What science and technology breakthroughs can change leaders apply tomorrow to boost their effectiveness? • How can the behavioral sciences support organization development, culture change, and change management? • Why in an age dominated by technology are trust, purpose, community, meaning, and empathy more critical than ever before? • How does millennial culture affect how we change hearts and minds? • How can change leaders use digital technologies to create engaged, passionate followers?•How have globalization, artificial intelligence, and millennial culture affected the change landscape? • How have 21st-century “information disorder problems,” information glut, fake news, filter bubbles, social media, and “always-on” changed how we communicate and how we lead change? • How can you effectively lead change in virtual, global, workspaces and workforces – and those with a high percentage of “gig economy” workers? And back to today’s podcast! Michael Barbera is a leading expert in the complex factors that drive the consumer decision-making process, including consumer behavior, emotion, and experience. 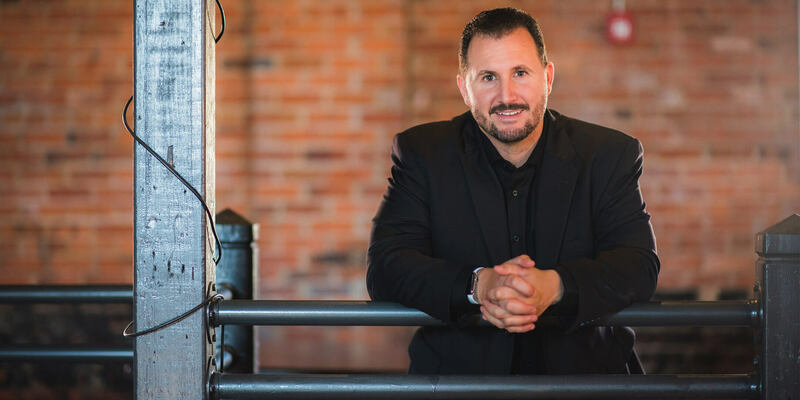 As the Chief Behavioral Officer (CBO) at Clicksuasion Labs, Michael helps clients to better understand consumer influence and consumer behavior, both online and in person. He’s also a celebrated keynote speaker, host of the Clicksuasion podcast, and dynamic TEDx presenter. Michael and I talk about how businesses are beginning to apply behavioral science in their approaches to both employee engagement and consumer behavior. We discuss how the field is only in its infancy and how much more we have to learn, and we talk about some firms and practitioners that are paving the way for some serious innovation in the application of behavioral science. Michael also touches on the role of gamification in behavioral science and where we’re already seeing behavioral science change consumer decision-making. Why behavioral science is one of the hottest and most important topics in business today. What problems behavioral science solves that other approaches can’t. How behavioral science will change in the next decade (and how it will change business, too). The role of self-reflection in behavioral science and real-world applications of it. What managers need to know if they want to apply behavioral science principles in their work. Where consumers are already seeing behavioral science in their everyday lives (even if they don’t realize it yet). Why behavioral science is more of an experimental process than a simple step-by-step process. If you would love to support the show in another way, please check out my Patreon site. Would you like be a reviewer for my upcoming book Impact: Using Science to Change Behaviors, Hearts, and Minds? Know someone who would write a killer foreword for it? Email me at paul@paulgibbons.net! Don’t miss an episode, subscribe via iTunes, Stitcher, Spotify or RSS. What is Pop Leadership and Why is it Harmful? Sam Harris is Closing His Patreon Account – Is Patreon Being Ethical? Paul Gibbons on Sam Harris is Closing His Patreon Account – Is Patreon Being Ethical? Jon cooke on Sam Harris is Closing His Patreon Account – Is Patreon Being Ethical? Join Paul’s newsletter for the latest provocations on philosophy in business. Have snippets of insight delivered throughout the day. My latest podcasts on philosophy, science, and change delivered straight to your inbox. My latest videos covering keynotes, book previews, and podcasts. Thoughtful discussions on the greatest challenges facing our businesses and leaders today.